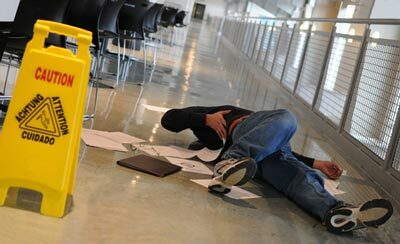 Cases of slip and fall accidents appear more often than we’d like to admit. Across the nation, there are several hundred thousand reported cases of these accidents at the end of each year. This development is on one hand due to the negligence of property to owners to ensure that safety stipulations are followed in their facilities, and on the other hand, it is due to the carelessness of the victim. In any case, it is recommended that in the event of a serious slip and fall accident you seek the attention of a credible attorney, one that will explain the many axioms of the law to you and represent you favorably in court. Rawa Law Group has grown and developed a reputation as one of the reliable personal injury law firms in California and Long Beach claimants have enjoyed this legal expertise for over 20 years. We have over 55 years of combined experience; our distinguished attorneys are all professionals with sterling records gathered through the years. What’s more? In Rawa Law Group’s over two decades of existence, we have been a main player in the legal sector, employing our expertise, resources and legal experience to win for our client’s settlements valued at over hundreds of millions. You would need someone that is reliable to take on your case and that is us. Do note that we will not take any money from you right from the early stages of consultation through to the investigation and representation in court until we have won you your case and some money too. That way your mind is at ease as regards finances. Feel free to reach out to us today, we are here to help.